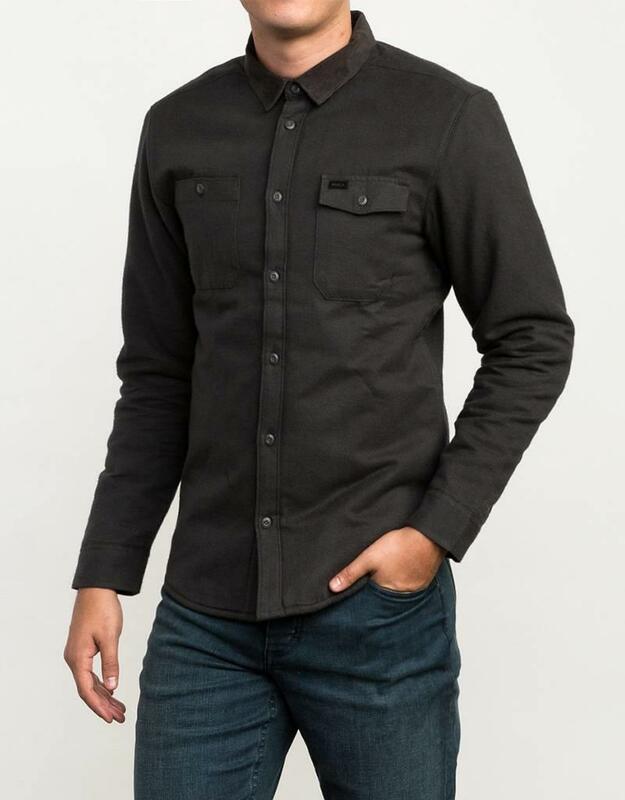 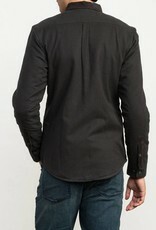 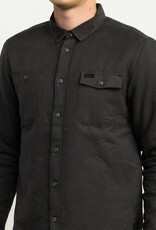 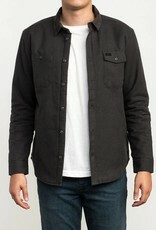 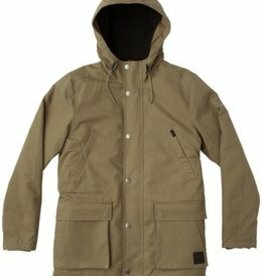 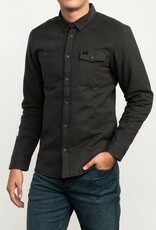 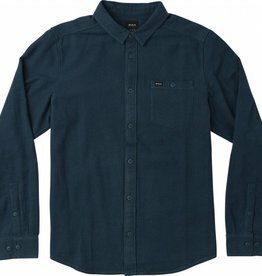 Rugged on the outside, the RVCA Victory Sherpa Button-Up Shirt is lined with a super soft and warm sherpa fabric. 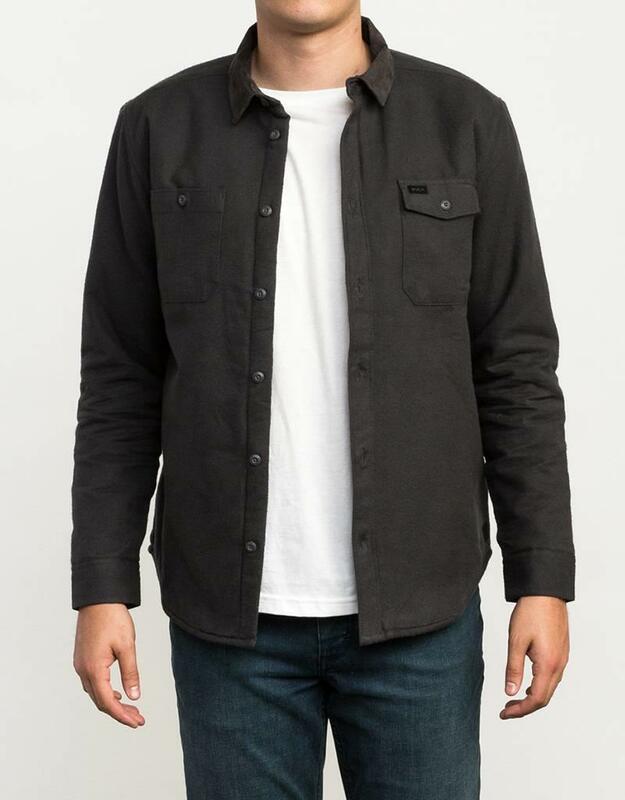 Bringing even more outdoor utility to a core flannel shirt, the Victory is topped with a throwback cord at the collar and sleeves. 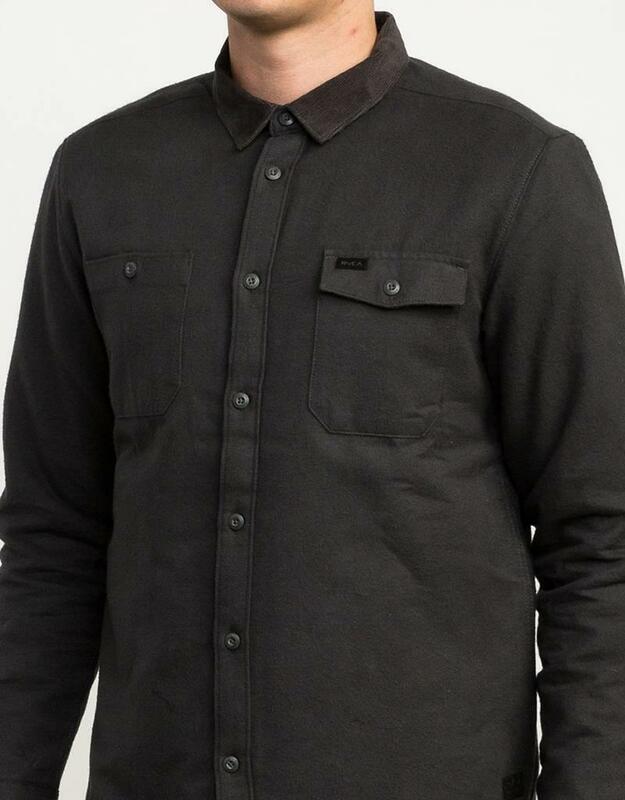 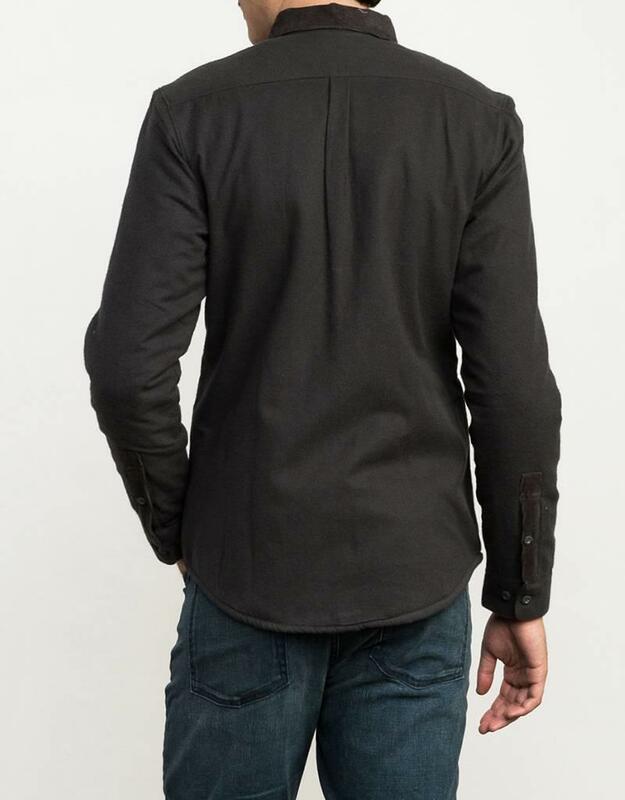 The fortified flannel features custom trims, including a RVCA suede solo label at left chest pocket and RVCA Nature x Industry embossed suede patch at the left hem.